The Holy Spirit empowers us for personal holiness, a new life in Christ Jesus, renewed Catholic life and evangelization. 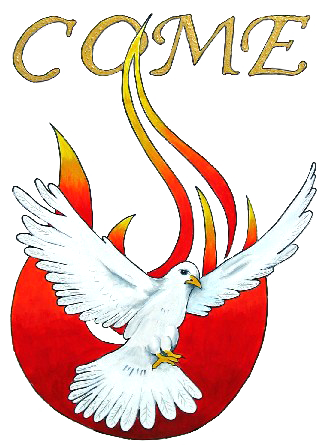 Therefore, the Western Oregon Catholic Charismatic Renewal invites all people to experience the empowering grace of the Holy Spirit and the love of God the Father, and to develop a life-changing relationship with Jesus Christ as Lord. To foster the Baptism of the Holy Spirit which opens the door for abundant life in Jesus Christ as Lord and to fan into flame the gifts and graces God has given us through the Sacraments. To support lifelong growth in surrendering to the Holy Spirit. To organize and promote charismatic renewal events such as days of reflections, healing liturgies and area-wide prayer meetings. Archbishops and bishops worldwide are encouraged to appoint a liaison with the Catholic Charismatic Renewal (CCR). In 2013, Portland Archbishop Sample appointed Fr. Charles (Chuck) Wood, currently Pastor at St. Wenceslaus Catholic Church, Scappoose, OR, as liaison for the English-speaking CCR. Father Wood was born in 1960 in Washington, D.C. He graduated from St. Anselm’s Abbey School in Washington, D.C., and attended the University of Notre Dame, IN. He worked as a reporter before attending Mount Angel Seminary, OR. He was ordained at St. Mary’s Cathedral in 2000 by Archbishop John Vlazny. He is a member of the Brotherhood of the People of Praise; part of a lay ecumenical community whose members share community life and resources. His previous ministry in Oregon includes work at these parishes: Holy Redeemer, Portland; Sacred Heart, Portland; St. Henry, Gresham; St. Clare, Portland; and Our Lady of the Lake, Lake Oswego. A team of lay persons (WOCCR Team) assist the Archbishop’s Co-Liaisons. Together, they constitute the Archdiocesan Renewal Center. For the guidance of the charismatic renewal in the Archdiocese, the Renewal teams maintain faithful contact with the Magisterium of the Catholic Church. The Renewal Center also maintains contact with National Service Committee of the Catholic Charismatic Renewal (NSC), Washington, D.C. and the International Catholic Charismatic Renewal Services (ICCRS) at the Vatican. Under the guidance of the Archbishop and his Co-Liaisons, the Archdiocesan Renewal Service Teams serve charismatic Catholics and renewal groups in the Archdiocese. The history of the Charismatic Renewal formally began with the appointment of the first Liaison to the Archbishop of the Charismatic Renewal in the 1990’s. Fr. Thomas Bill, C.S.C., served as Archdiocesan liaison for many years for both the Hispanic and English Renewal. He gathered many of the documents and provided many of the teachings on this website. He served in this position until July 2008. In early 2009, then Fr. Peter Smith was appointed our Liaison by then Archbishop John Vlazny. He served in this position until he became the Vicar General to Archbishop Alexander Sample in 2013. He was soon after ordained Auxiliary Bishop in the Archdiocese of Portland. In 2013, Archbishop Sample appointed Fr. Chuck Wood, a member of the People of Praise, as Liaison for the English-speaking CCR. In 2014 the Archbishop appointed Fr. Peter Arteaga from Mt. Angel Seminary, for the Spanish-speaking CCR. Many parishes in Western Oregon have charismatic renewal meetings where people learn to be open to the Holy Spirit as they mature in a life of praise and worship, ministry and service, and exercise of the Divine charisms of the Holy Spirit. The primary ministry of these charismatic groups is to help parishioners realize that the role of the Holy Spirit in the life of the Church has not changed since the first Pentecost. They are renewing the Grace of Pentecost in the life and mission of the Church. These charismatic groups regularly provide “Life in the Spirit Seminars” to lead people to the conversion experience called the “baptism in the Holy Spirit” or the “release of the Spirit”. 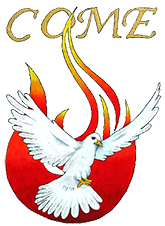 The late Mr. William “Bill” Standley, Portland, OR, designed the “Holy Spirit logo”, used on this website. He stated that the design was inspired by the Holy Spirit. It is used on this website, with his permission. Quotes from Holy Scripture are taken from the “New American Bible, Revised Edition”. Quotes from the catechism are taken from the “Catechism of the Catholic Church”.